OF all the new lures I have tried during this current Murray cod season the absolute standout lure for me has been the Angel Baits from Insanity Tackle. 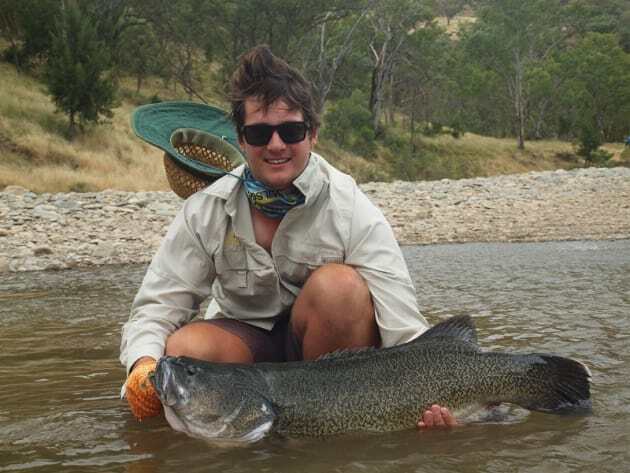 The first thing you will notice about the Angel Baits is that they do not have a thumping, throbbing, wobbling feel that is usually associated with Murray cod lures . The Angel Baits would be best described as a finesse lure with a fizzer type blade at the front which has three miniature Colorado-like blades attached that spin as an inline lure. The baits come with a soft plastic trailer and my best success has been on the paddle tail plastics with the red propeller head. The first real test for the Angel Baits came on a December canoe trip over several days. On that particular trip my fishing mates were given first crack at each hole as we made our way downstream and in various holes along the way I managed to tempt fish with the Angel Baits that hadn’t responded to the initial offerings from the others. One fishy hole in particular my mates had moved about a third of the way through without any luck all the while constantly changing lures looking for that one that would entice a strike. I started fishing the head of the hole and in about half a dozen casts had landed three fish. I handed the two spare Angel baits over to my mates who were immediately into fish. The next half an hour produced around 20 fish between the three of us. The remainder of our canoe trip was mainly Angel Bait mayhem with the most – and the biggest – fish for the trip falling for these bizarre looking lures . I ordered a stack of these on return to civilization and passed a few around as Christmas presents. 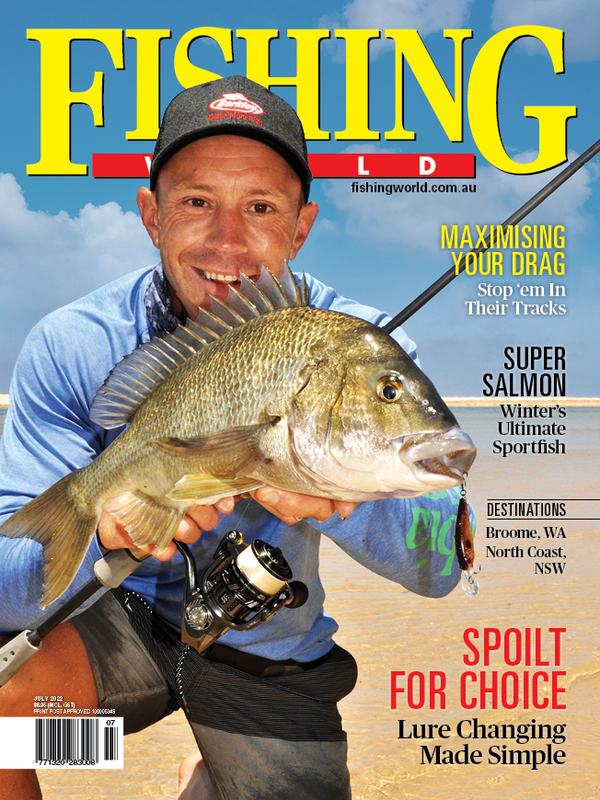 My brother, Wazza Smith, who lives and guides in the Northern Territory was one recipient of the Angel baits, and he too has now reported taking good catches of barramundi on these very efficient baits. The other recipients of the Angel Baits are also now hooked on the fish catching qualities of these lures as they have all now had some great sessions using them on Murrray cod. These are definitely one of those lures that deserve a place in your tackle box as they do have the potential to turn a fishless session into a very productive session.